The available position is to start in October 2018. University position with attractive benefits in Huajuapan de León, a city of about 80,000 people situated in the beautiful state of Oaxaca, halfway between the colonial cities of Oaxaca City and Puebla. Teachers teach 3-5 classes daily and have the opportunity to contribute to other areas of the faculty and the local community. 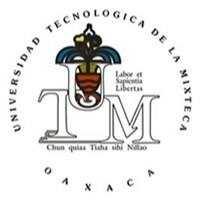 The Universidad Tecnológica de la Mixteca (UTM) is the flagship university in the SUNEO system of public universities in the state of Oaxaca, and is considered one of the leading institutions in southern Mexico. Our Language Institute is a friendly, supportive and professional workplace comprised of language instructors of different nationalities and educational backgrounds. Take home pay is approximately $14,000 – 17,000 MXN per month, depending on qualifications and experience, which is a very competitive local salary. Teachers also receive benefits including healthcare, savings plan, bonuses and 5 weeks paid vacation. Successful applicants will have native speaker competence, a B.A. + CELTA or equivalent or an M.A. in a relevant field and classroom teaching experience. A Bachelor’s degree is a minimum requirement for teaching at university level in Mexico, so we cannot consider applicants who do not have a Bachelor's degree. Specific TESL/TEFL training is also a requirement of the university’s Academic Council. Although it is not a requirement, ability in Spanish or another foreign language would be a definite asset. Email your CV and cover letter to the contact email as soon as possible.